COAST CITIES — Officials have been working on a 50-year sand replenishment plan in Encinitas and Solana Beach for more than 13 years. But the project is stalled at a critical juncture. The California Coastal Commission voted 8-3 at its July 10 meeting in Ventura, Calif. to deny the joint beach nourishment plan, a project that’s been touted as a means of shoring up infrastructure and encouraging tourism. Coastal Commissioner Dayna Bochco said the influx of sand on beaches, particularly early on in the project, could hurt the wave quality at surfing breaks. And new marine protected areas stand to be negatively impacted, too. “There was not enough evidence to convince me this is the best we could do in terms of protection of habitat,” Bochco said. Right before the vote, Coastal Commissioner Esther Sanchez, who also serves on Oceanside’s City Council, urged the board to back the replenishment. She argued the project’s wrinkles could be ironed out down the line if need be. Yet a “no” vote would likely kill it. “They’ve worked so many years on this and there’s no time for it to come back for this round of federal funding,” Sanchez said. The Army Corps of Engineers signed on to fund a large chunk of the nourishment plan. Getting that money for the project requires approval from a federal bill known as WRDA (Water Resources Development Act). Josephine Axt, chief of planning for the Los Angeles Corps office, emphasized at the meeting that the WRDA only comes around periodically — the last bill was in 2006. To be considered as part of WRDA, Axt told the coastal commissioners they will need approval from the coastal commission and a civil works board by December. She added that meeting the deadline would be difficult, particularly if the coastal commission doesn’t back the project right away. If the plan weren’t attached to WRDA, the project would likely be dead in the water. On Wednesday, Heather Schlosser, the Corps’ lead planner of the project, said there’s a possibility the WRDA deadline will be extended, giving the project some breathing room. “We don’t know when it will be decided if the deadline is going to be pushed back,” Schlosser said. With the coastal commission’s denial, the Corps is weighing its options, Schlosser said. One path: it could resubmit an alternative plan, including one that places less sand on beaches, for a coastal commission vote. But first, the Encinitas and Solana Beach City Councils might have to green light the alternative plan. “That would be up to the city councils if they want to vote on it,” Schlosser said. After hours of testimony in May, councilmembers from Encinitas and Solana Beach approved the last phase of a feasibility study for the project that went before the coastal commission last week. The coastal commission is also asking to approve the beach replenishments prior to the start of each one. However, Schlosser said that would likely make the federal government hesitant to allocate money to the project. The Corps, as a last consideration, could also try and proceed without the coastal commission’s blessing, she said. That would involve mediation with the U.S. Department of Commerce to determine whether the replenishment meets all the necessary environmental and legal demands, according to Schlosser. Schlosser said the nourishment would save public and private infrastructure from shrinking beaches. And the wider beaches give tourists a reason to visit. Plus, it will make the beaches safer. On Wednesday, Katherine Weldon, shoreline preservation manager with Encinitas, said the project is “walking a tight line” given the uncertain WRDA deadline and coastal commission’s rejection. Sand replenishments aren’t new for the cities. This past September at a cost of $22.5 million, a separate SANDAG project deposited 1.4 million cubic yards of sand on beaches throughout the county, including in Solana Beach and Encinitas. 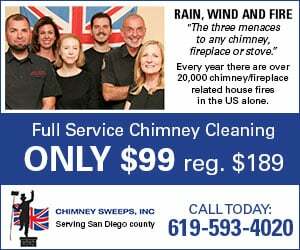 Yet Solana Beach City Manager David Ott said officials have made it clear regional nourishments like this aren’t planned over the long term, making regular replenishments in Solana Beach and Encinitas critical. “We don’t want to miss this opportunity,” Ott said. For Encinitas, sand would be dredged from offshore and carted to beaches every five years, widening beaches by 100 feet on average. The first cycle would unload 680,000 cubic yards of sand. And subsequent nourishments would place 280,000 cubic cards of sand on the beach. The projected cost of Encinitas’ portion of the 50-year project: $108 million. In Solana Beach, the replenishment calls for 420,000 cubic yards of sand every 13 years, adding 200 feet of beach at an estimated price of $70 million. San Diego Surfrider has argued beach nourishments are welcome in some cases. But the project involves dumping too much sand on the beaches during the first Encinitas cycle, potentially transforming the waves at reefs like Tabletops into mush. The group took its message to the July 10 coastal commission meeting. 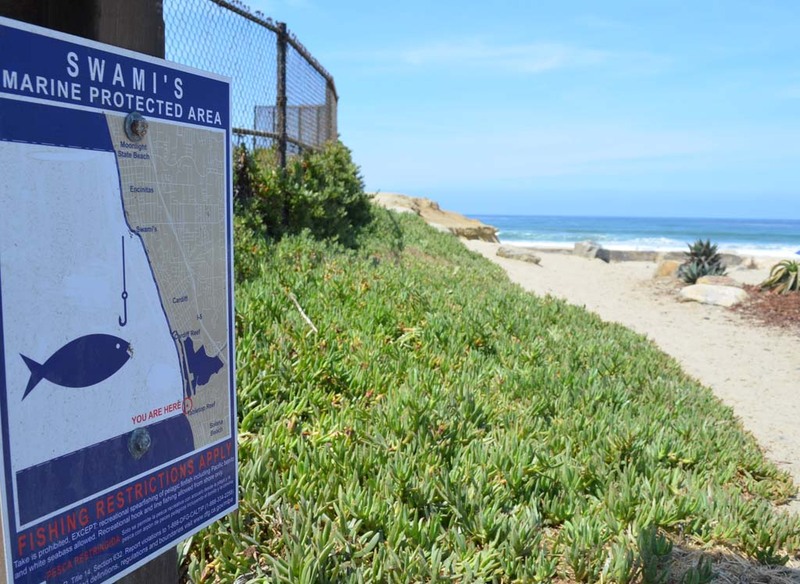 “Protections of these spots that provide opportunities for beginners through experts remains a bedrock principle under the coastal act,” said Surfrider member Jake Wyrick. He added there aren’t enough legal measures attached to the contract to hold the Army Corps of Engineers accountable in the event of damage to surf spots. Julie Chunn-Heer, campaign coordinator for Surfrider, said the large quantities of sand could bury underwater habitats at the Swami’s marine protected area. New marine protected areas that limit or ban fishing went into effect about a year ago throughout Southern California. She said the project, if approved, would set a dangerous precedent for meddling in the reserves. “Experimenting in healthy reef systems should not be allowed,” Chunn-Heer said. But representatives from the Army Corps of Engineers stressed the project had already been through multiple layers of environmental review. In a July 15 letter, Larry Simon, a coordinator with the coastal commission, said the Corps should be held accountable with stricter guidelines for monitoring offshore sites and the entrance of the Los Penasquitos Lagoon at Torrey Pines State Beach. Encinitas and Solana Beach have each funded $500,000 in technical studies and labor that moved the project along. Encinitas’ $500,000 came from the transient occupancy tax — a tax on short-term rentals passed by residents. The listed start date for the nourishments is for the end of 2015.